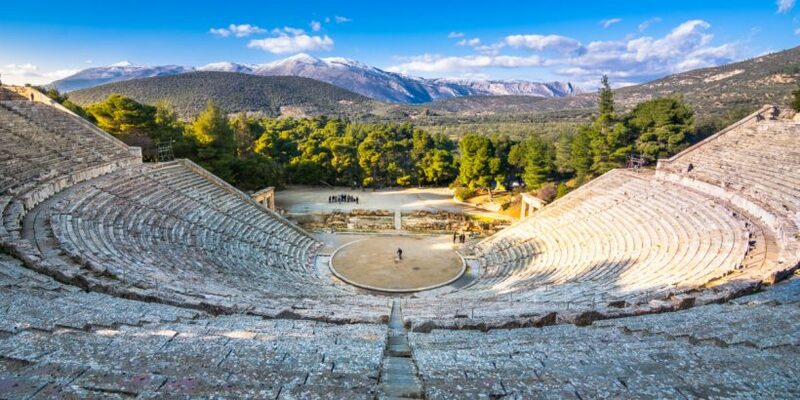 The ancient theatre of Epidaurus is an architectural masterpiece designed by the architect from Argos, Polykleitos the Younger, and represents a unique artistic achievement through its admirable integration into the overall Sanctuary of Epidaurus. It is heralded for its perfection in its proportions and acoustics. 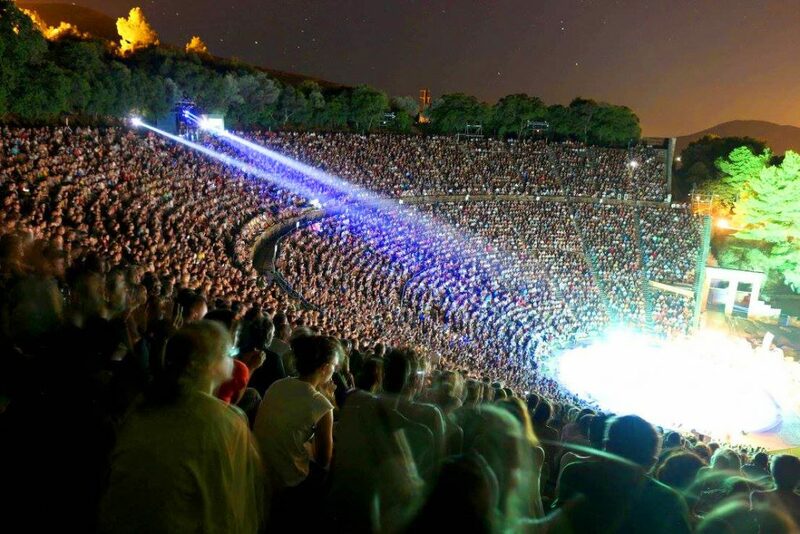 The theatre has been revived thanks to the annual Athens and Epidaurus Festival which has been held here since 1955 to familiarise audiences with ancient Greek thought and celebrate the works of ancient Greek playwrights. The Sanctuary of Asklepios at Epidaurus is a remarkable testament to the healing cults of the ancient world and the emergence of scientific medicine. Situated in the Peloponnese, in the region of Argolis, the site comprises of a series of ancient monuments spread over two terraces and surrounded by a preserved natural landscape. Among the monuments of the sanctuary is the striking Theatre of Epidaurus, together with the Temples of Artemis and Asklepios, the Tholos, the Enkoimeterion and the Propylaia, comprise a coherent assembly of monuments that illustrate the significance and power of the healing gods of the Hellenic and Roman worlds. 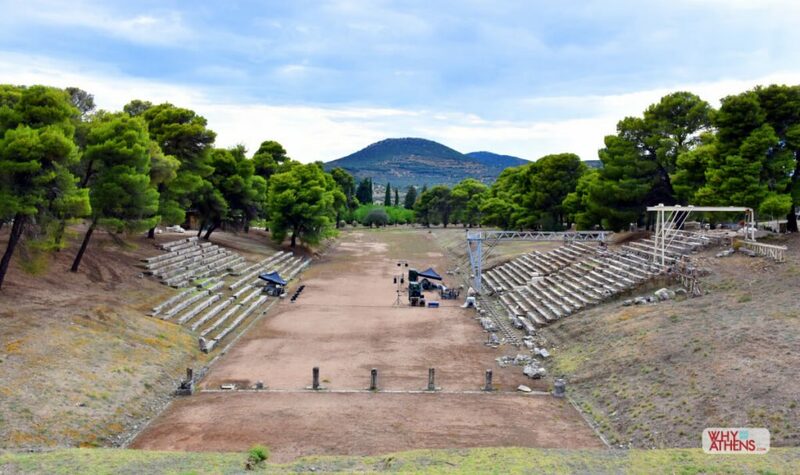 Epidaurus theatre is located within the archaeological site of the Sanctuary of Asklepios in Palea Epidaurus, in the region of Argolis which is a two hour drive from the city of Athens. 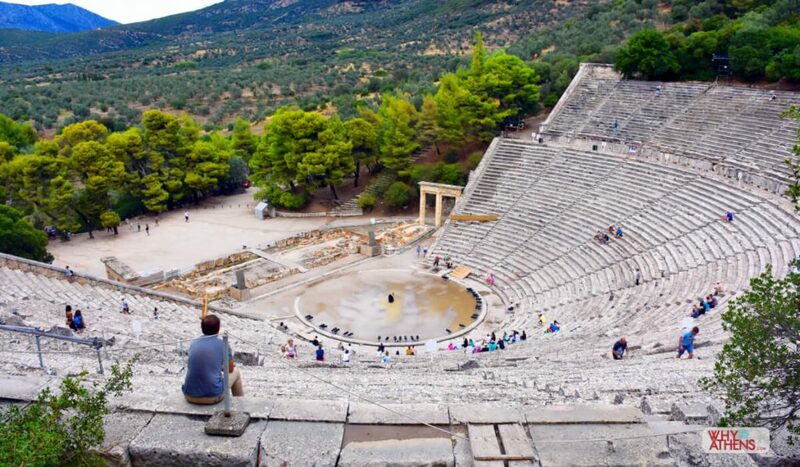 Why Athens offers return bus transfers from Athens to Epidaurus in the summer months to co-ordinate with the performance programme at the ancient theatre of Epidaurus. We coordinate this with our trusted transport partners who provide an exemplary and reliable service that we trust. 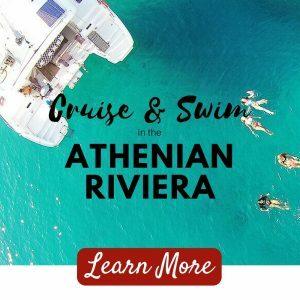 You can find out more and book your transfer on our Agora. 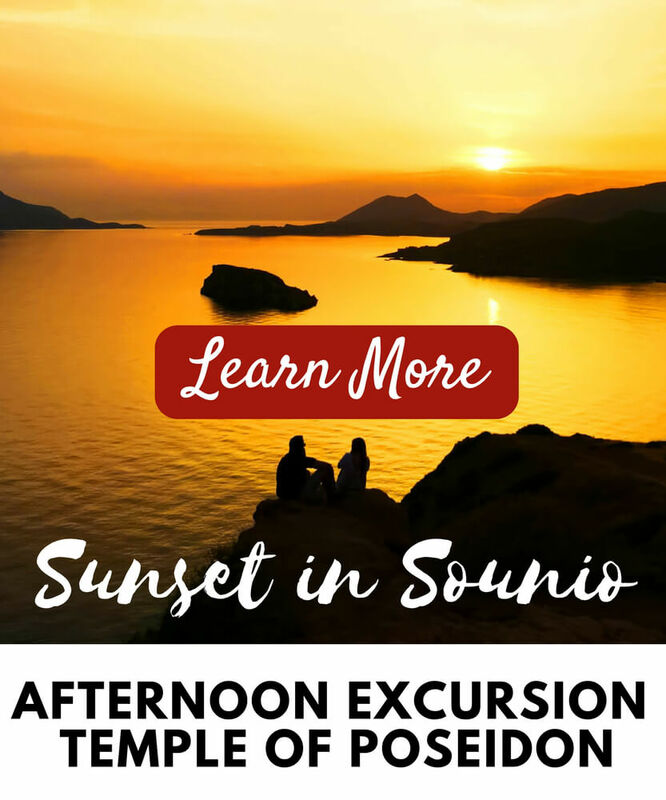 There are daily buses that can take you direct or via the pretty town of Nafplion. 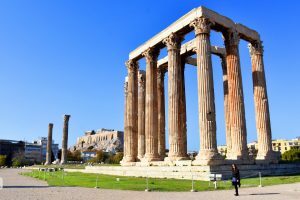 Buses depart from the Athens central bus depot in Kifisos, situated in the west part of Athens near the suburbs of Peristeri and Egaleo. 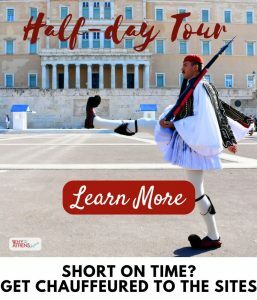 If you are visiting during the Athens and Epidaurus Festival (June-August) special bus timetables operate to co-ordinate with theatre performances. 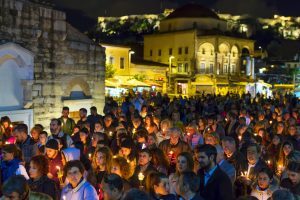 You will be able to catch a show and return to Athens in a day as there are regular buses returning from Palea Epidaurus. (See all bus information below). If you enjoy driving and prefer to be in charge of your own timetable, hiring a car is another good alternative. 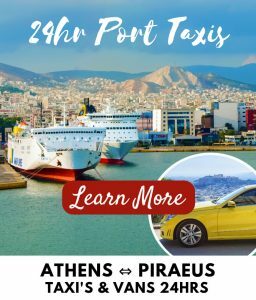 There are plenty of car hire operators around Athens. DRIVING: Follow the signs for Corinth and exit the Athens-Corinth Motorway immediately after crossing the bridge over the Corinth Canal. 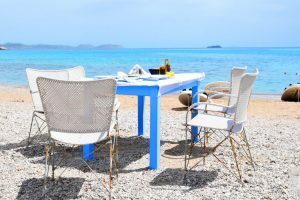 Keep in the right-hand lane, pass underneath the Motorway, and then turn left onto the Corinth-Epidaurus B-road in the direction of Epidaurus. 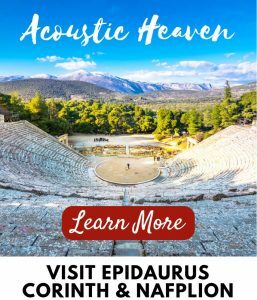 Follow the signs for the Ancient Theatre of Epidaurus. 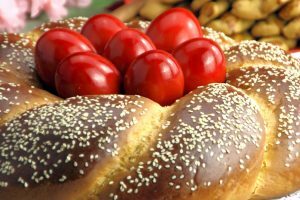 After you have passed Nea Epidavros and Palea Epidavros, you will arrive at the Lygourio crossroads. Turn left here for the Sanctuary of Asklepios. 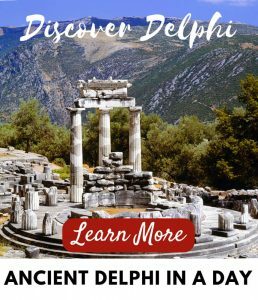 From Nafplion: Drive through Lygourio town and head for the archaeological site of the Sanctuary of Asklepios. 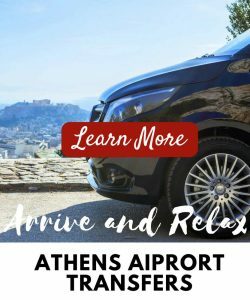 Why Athens Tip: When hiring a car in Athens be aware there is often limited street parking. You should check the parking facilities of your hotel in advance, to avoid nasty parking fines! There is plenty of car parking available in the grounds of Epidaurus. 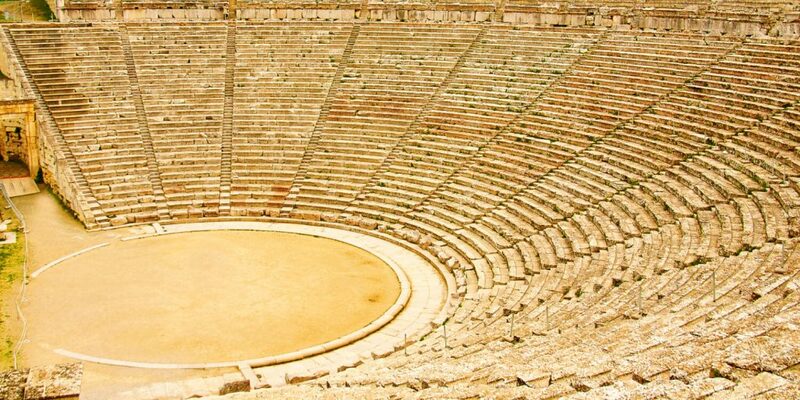 Information on Private Buses travelling to the Epidaurus Theatre on performance nights can be found here. 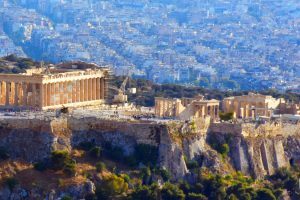 From Athens International Airport you can get the X93 direct bus. The bus operates 24 hours, seven days a week and the service runs every 30 minutes. It takes approximately 1 hour. 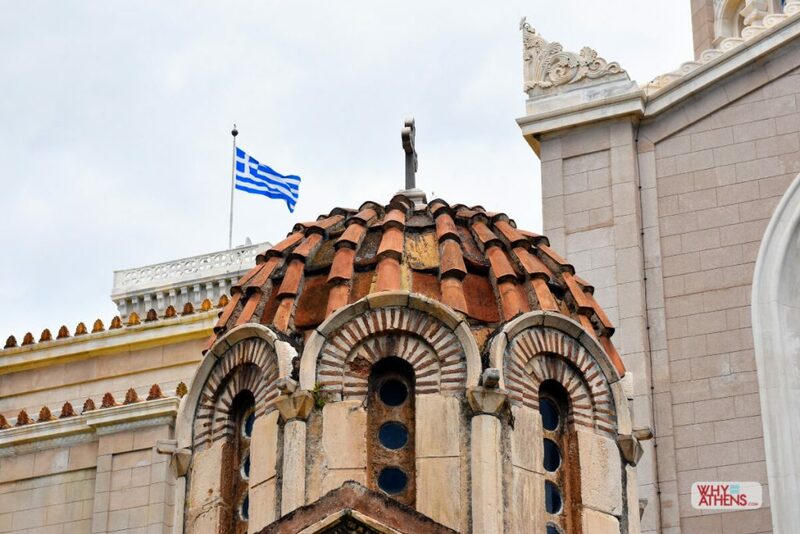 From Athens city centre – Omonia Square you can get the OASA bus 051. This bus departs from the junction of Zinonos and Menandrou St. Buses come every 7 – 20 minutes (depending on the day and time). From Piraeus port you can get the metro train (line 1 – green line) from Piraeus station to Omonia square. From Omonia square you follow the above information regarding bus 051 to the bus depot. The nearest metro station to the bus depot is “ELEONAS” (line 3 -blue line). From there it is a 15-20 minute walk or around 5-10 minutes by taxi.